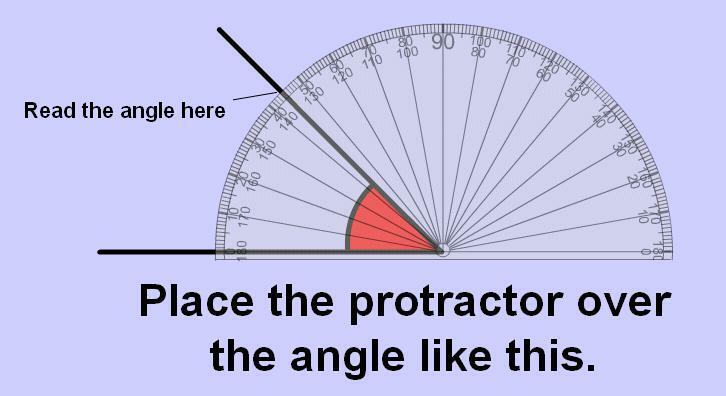 CLICK ON BUTTON TO LEARN MORE ABOUT ANGLES. An angle is made up of two rays that share the same endpoint. 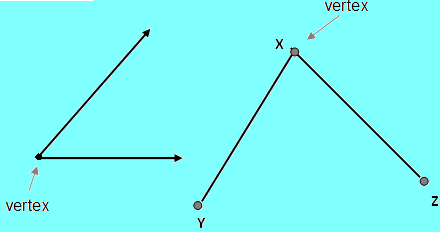 Then endpoint is called the vertex. When naming an angle the middle letter must always be the vertex. Use this website to practice measuring angles. Remember to rotate the protractor so that one of the rays goes directly through the zero.